There is something inherently fascinating about famous bandits in history. Maybe it's the larger-than-life personalities of the people who commit these types of famous robberies, or the sophisticated methods they employ to achieve their nefarious goals. Or it could just be that people are fascinated with an underdog story: there is something romantic in the drama of a small group or individual going up against a much larger entity, which often has the benefits of numbers and superior technology. Whatever the reason, an act of robbery (especially when violence is kept to a minimum) has the potential to catapult an individual into the ranks of super-stardom, turning them into a real-life Robin Hood or Danny Ocean. Here is a collection of criminals who raised the bar on crime. Leonardo Notarbartolo is famous for stealing $100m in diamonds - the largest diamond heist ever committed - from the Antwerp Diamond Center. The facility's security measures are intense: the vault is secured by a lock with one hundred million combinations, and is also equipped with a seismic alarm, infrared sensors, an electromagnetic lock, and requires a key almost three feet long to turn the massive deadbolts of the vault door. Originally, Notarbartolo declared that the place would be impossible to rob when he was paid 100,000 Euros by a client to scope out the place in 2001. Five months later, Notarbartolo was contacted by the same client and instructed to meet in an abandoned warehouse. In a scene straight out of Ocean's Eleven, when Notarbartolo arrived, he found himself standing in an exact replica of the Diamond Center's vault, where his client outlined the plan to rob the place. Notarbartolo agreed to the heist. As part of the operation, Notarbartolo had a security box at the Center, and on one of his regular visits he managed to install a hidden camera, which recorded the guard entering the code for the vault door. Right before the robbery, he managed to spray the vault's infrared sensor with a thin coating of hair spray, temporarily knocking it out of commission. The electromagnetic lock was duped by a custom-made aluminum block which the thieves placed on the side of the vault door, allowing them to remove the door without breaking the circuit. Ultimately, however, this cunning heist was foiled by a single mistake. Notarbartolo wanted to burn the evidence, but his accomplice, a getaway driver named Speedy, insisted that they dump it immediately, and the pair was spotted by a property owner who reported them for illegal dumping. When the police investigated, they found the bags used in the jewelry heist, as well as a half-eaten sandwich covered in Notarbartolo's DNA. The police subsequently raided his house and found seventeen diamonds. He was sentenced to ten years in prison and is now out on parole. In an interview with Wired, Notarbartolo claimed that the gang only stole $20m, and the other $80m was claimed as part of an insurance scam. No evidence of this has been found, and only a fraction of the loot has been recovered. 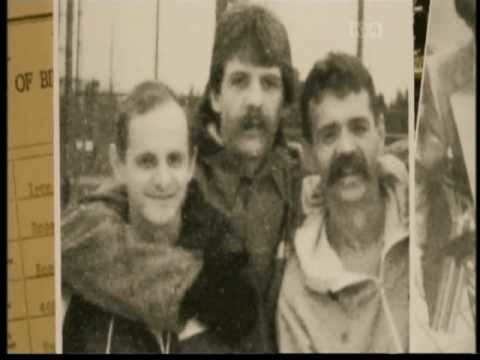 The infamous Stopwatch Gang was a group of three Canadian bank robbers: Stephen Reid, Lionel Wright, and Paddy Mitchell. Known for their ability to rob banks in under two minutes with virtually no trace left behind, the group got their name because the FBI noticed Reid wearing a large stopwatch around his neck during one of their robberies. The gang was active during the 1970s and 1980s, and is best known for completing the largest bank robbery in San Diego history. They stole $283,000 from Bank of America (this was the second time that they robbed this particular bank) and ran off with $750,000 worth of gold bars from the Ottawa Airport in 1974. In addition to their rigorous planning skills, the gang had a keen insight into how witnesses would react during a robbery - and what they would remember afterward. The gang paid attention to the press they received for their crimes and quickly noticed that witnesses were often distracted by obvious, eccentric, but unessential details. To test this, Reid left a banana hanging out of his pocket during some of the gang's robberies. Sure enough, the witnesses remembered that detail, but not much else. Law enforcement closed in on the gang when an elderly couple looking for cans in a dumpster found a bag filled with wigs, make-up, two license plates, and several Bank of America bags. The authorities were able to obtain a partial thumbprint on one of the bags, but it was not until the three gang members were identified by a confidential informant that the FBI was able to match the print with some evidence from the Ottawa airport heist. Reid and Wright were arrested in October 1980 and were each sentenced to 20 years in prison for the Bank of America robbery. After the capture of the other gang members, Paddy Mitchell continued his career as a bank robber, escaping prison four times, and living in exile in the Philippines for 15 years until he was finally captured after a botched bank robbery in 1994 and sentenced to 65 years in prison. The largest, most successful group of thieves in the world are the Pink Panthers. The group earned their name from Interpol after a diamond heist in 1993. Using a tactic originally seen in the 1975 film Return of the Pink Panther, the gang of thieves hid £500,000 ($614,500) in diamonds in a jar of facial cream. Using photographic, DNA, and fingerprint evidence, Interpol has identified 800 active members of the Pink Panthers, a group primarily composed of Serbs from Serbia, Montenegro, Croatia, and Bosnia. Many of the members are believed to be Serbian ex-special forces who fought in the Bosnian wars. The Pink Panthers are a truly international gang of thieves, with operations ranging from Dubai to Tokyo. The Pink Panthers are credited for the largest successful robbery in Japanese history, where the group stole ¥284 million ($2,734,780) in jewelry. While the Pink Panthers are predominantly known for stealing jewelry and diamonds, they have expanded their sphere of operations into the realm of fine art. In 2008, an art museum in Zurich, Germany was robbed, in what is the largest art theft in European history. The group stole four paintings, the last of which was recovered in 2012, a Cezanne painting with an estimated value of $113 million. In addition to their masterful heists, which some investigators have elevated to the level of "artistry," the group is surprisingly hard to take down and imprison. In part, this is because the group practices omerta, a code of silence, so capturing one or two members of the group does little to harm the overall organization. The group has also proven adept at breaking members out of prison, with one of the most recent attempts in May 2013, when a group of Panthers assaulted a Swiss prison with assault rifles to break out a fellow gang member. The imprisoned Panther and four other prisoners escaped during the commotion. 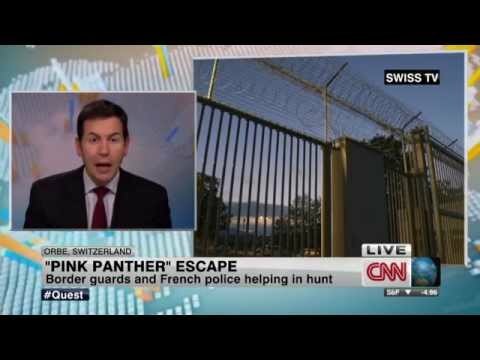 The Panther is still at large. The group is currently alive and well, and Interpol estimates that they have added over 180 new members in the last few years. Despite their whimsical name, the Pink Panthers are as efficient and professional as they come. The Ioanid gang, named after two brothers in the group, was a group of six Jewish intellectuals that stole 1.6 million Romanian lei (approximately $250,000 at the time) from the National Bank of Romania in 1959. The case was investigated by the Communist secret police, the Securitate, and within two months all of the alleged robbers were apprehended and tried behind closed doors. All but one of gang members were executed in 1960 (their executions were even kept secret from their families), but not before they were forced to reenact the robbery for a propaganda film titled Reconstituirea. The film was only shown to loyal Communist party members, with the robbers reprising their own roles. The film heavily emphasized the gang members' Jewish identities, and portrayed them as living a life of luxury with money obtained from the heist. No real motive was ever given for the heist, but the film alleged that the goal was to send funds to Zionist organizations to get Romanian Jews to Israel. However, this seems highly unlikely as it was impossible to convert lei into any other hard currencies around the world during this time period. To this day, no one knows for sure if the gang actually committed the robbery - many believe that it was an operation carried out by the Securitate to purge disloyal party members. Several documentaries have been made about the heist, most recently Closer to the Moon, from 2014.